In addition to the above Bongo Fury will also store all of the IP address that you use to post with. 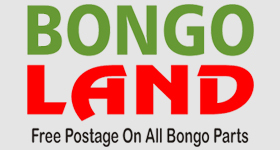 Depending on your preferences Bongo Fury may send you emails to the email address that you used when you registered or you have subsequently changed but you are able to change these preferences from your User Control Panel (UCP) at any time should you wish to stop receiving them. The personal details that you gave us when you signed up will be used solely for the purposes of Bongo Fury board functionality. They will not be used for anything else and neither will they be passed on to any third party without your explicit consent.